Use this website to quickly find the most important information about the Munich Airport (MUC): Flights, Departures, Arrivals, Parking, Car Rentals, Hotels near the airport and other information about Munich Airport. Plan your travel to MUC Airport with the information provided in this site. Munich Airport (MUC), also known as Flughagen Munchen is the main international airport in Bavaria region, Germany. Munich Airport is located in a territory which belongs to 4 municipalities: Freising, Erding, Hallbergmoos and Marzling. In 2016, Munich Airport (MUC) handled 42, 216, 309 passengers. Neuschwanstein castle is a 19th-century treasure located less than 2 hours from Munich. Munich Airport is connecting Germany with the rest of Europe, and the rest of the globe. It is the 2nd busiest airport in Germany after Frankfurt Airport and the 7th in Europe. Munich Airport (MUC), also known as Flughagen Munchen, in German language, is the main international airport serving the capital city of the German Bavaria region, Munich. 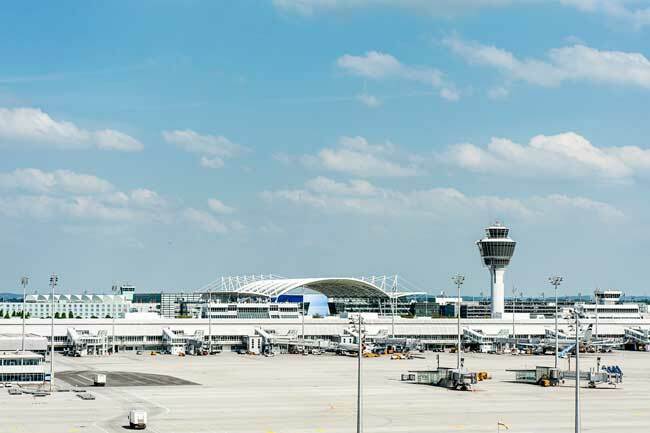 MUC Airport is located about 30 km from Munich city centre, a car ride takes about 30 minutes and with public transport 45 minutes approximately. In 2016, Munich Airport (MUC) handled 42, 216, 309 passengers. Opened in 1992 it is considered for the experts a 5-star Airport and the the 3rd World’s Best Airports. 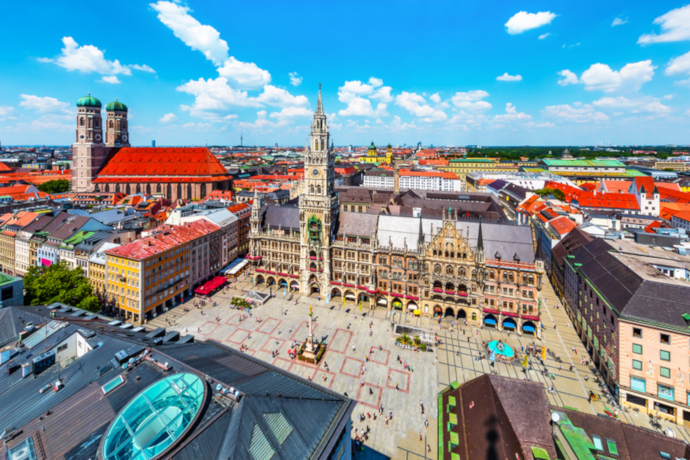 During your trip in Munich, you can visit one of the main attractions of the Bavarian capital city, the Englischer Garten is loved by tourists but also by the locals. With almost 80 kilometres of paths and over 100 bridges, there are so many different parts of this unique garden to explore. Not too far from the teahouse, you’ll find the Chinese Tower, Munich’s second largest tower. It stands at 25 metres high. Originally made of wood, the tower has been burnt several times over the years and faithfully reconstructed based on the original design from 1789. It also becomes a popular spot with its Christmas market. 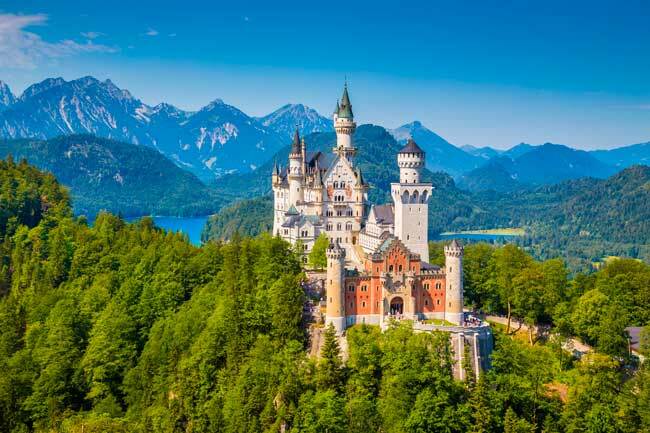 For the romantics and Fairy Tail’s lovers, you have an astonishing Disney-like castle in less than 2 hours from Munich. Neuschwanstein castle is a 19th-century treasure opened to the public in 1886. It is recommended to buy the entrance ticket before you start trekking up the hill. Once there, if you want to make your experience even more unforgettable you can take a horse drawn carriage until the main door of the castle like Cindarella.